We have a few lovely flower collections on Pixelbuddha, and it would be strange not to unveil our second greatest love — birds! We keep dozens of ornithological atlases and volumes full watercolors as an endless stock of inspiration. And the perfect moment has come to share this inspiration with you via our Birds & Blooms Graphics Toolkit. We’ve lovingly and carefully painted every element to compose a winning artistic collection. 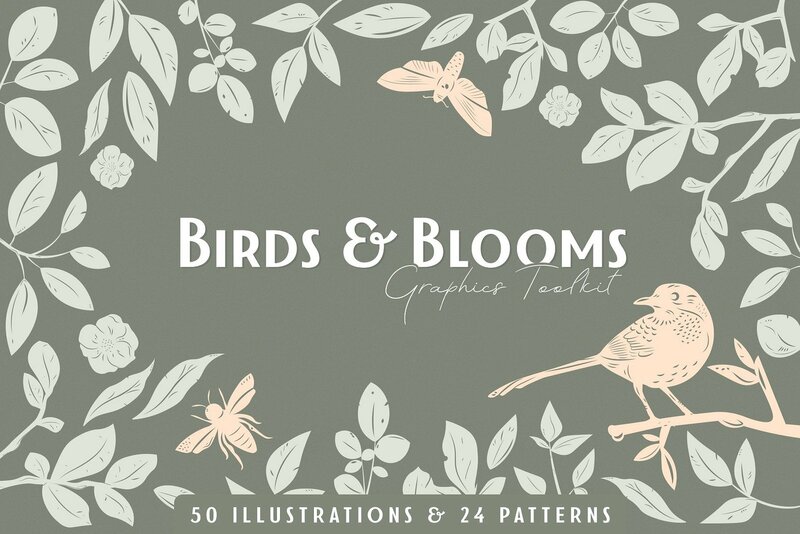 Now it features 50 vector elements: birds, flowers, insects, leaves, branches, and feathers along with a set of 24 floral vector patterns that we already imagine printed on fabrics or notebook covers. It must be so engaging! Birds & Blooms is so versatile, that you’ll literally feel helpless without this magic box! 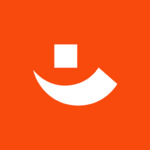 Just have a look at the patterns you can apply anywhere — or at the branding projects we’ve created. Actually, the creative freedom is unlimited, and there SO MANY beautiful things you can produce, just give this collection a try!